More than 98% of the 161 foot and ankle devices that were recalled from 2007 through 2017 were approved through the FDA’s 510(k) process, according to a new study. 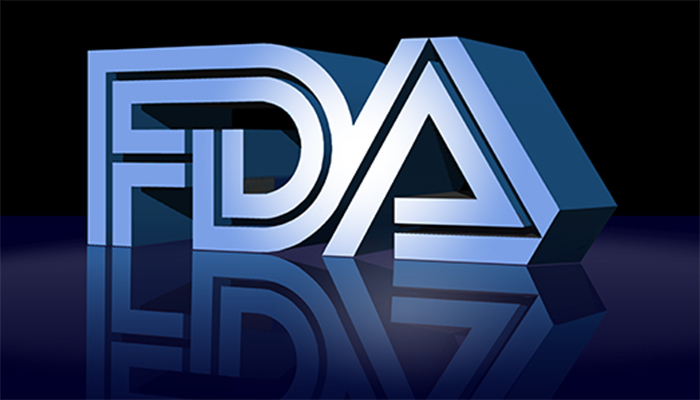 That left one recalled device approved via the more stringent premarket approval (PMA) process and two for which the submission procedure was not indicated. The 510(k) process allows a company to fast-track approval of a device by claiming it “substantially equivalent” to a device that has already been approved and marketed. The study, which focused on the manufacturer’s reasoning for initiating each recall, found that products breaking during or after implantation (39 products) and sterility concerns (37 products) triggered the highest number of recalls. The other most-cited reasons for recall were labeling (30 products), device design (27 products) and manufacturing defect (22 products). Software design, packaging issue and employee error accounted for the rest. A total of 161 products from 33 companies were identified with 158 (98.1%) approved through the 510(k) process. The average length of the recall was 487.5 days. The largest number of recalled products were Synthes Products cortical and cancellous of various sizes screws (West Chester, Pa.) 19.5 million recalled due to labeling issues. The smallest number of recalled products in commerce were two sizes of DePuy Mitek (Raynham, Mass.) SpiraLok anchors that were recalled secondary to concerns for hardware failure. None had been distributed. The study, published in the Cureus Journal of Medical Science, is the latest public shaming of FDA over its 510(k) system. The recently released Netflix film, ‘The Bleeding Edge,’ dissects the 510(k) approval process, pointing out that predicate devices that have been recalled still count toward approvals. “Streamlining the PMA process or changing the 510(k) process may enable manufacturers to improve upon the safety of their devices,” the authors wrote. The FDA is evaluating the study, according to an agency spokeswoman. “We continue taking steps to streamline and modernize how we implement post-market actions to address device safety issues to make our response to risks more timely and effective,” the spokeswoman wrote in an email. There is a problem with reports like this where the authors don’t undertand the regulatory process and produce meaningless statistics. Of course the majority of these implants were cleared through the 510(k) process – that’s because they are (with few exceptions) Class II devices, for which the only legally allowable path to market is via the 510(k) process. In addition, what the authors don’t seem to realise is that the 510(k) process concentrates on reviewing the pre-market design and testing of devices, and even if the design is perfect, errors can be made once the device has been cleared for marketing and reaches series production. So, for example, during manufacture, sterilization, labeling, packaging, etc., errors can occur which have got nothng to do with how the device design was cleared by FDA. What the quoted recall statistics show is that of the causes that we understand, only 22% were due to design problems (i.e. pre-market issues). The article implies that if these devices had gone through the PMA process, such design issues would have been spotted by FDA, but there is no evidence for this conclusion. All the other reasons for recall were due to post-market problems (such as labeling errors, sterility errors, manufacturing errors, packaging errors). There is nothing in the statistics to imply that these topics were not correctly addressed in the pre-market 510(k) submissions cleared by FDA. Post-market errors are not governed by the 510(k) process, but by the Quality System Regulation (QSR, 21 CFR 820), which applies equally to Class II (510(k)) and Class III (PMA) devices. Devices cleared through the PMA process are just as likely to suffer from post-market errors as Class II devices. The reason that more recalls occur with 510(k) cleared devices is that there are many more of these (approx 4,000 per year) than devices approved via PMA (approx 50 per year), so you would expect a large difference in recall numbers due to post-market issues. The study bizarrely concludes: “A large proportion of implants used for foot and ankle surgery approved through 501(k) process were recalled when compared to the proportion of implants approved through the more stringent PMA process.” I say ‘bizarrely, because the article does not provide figures for the number of orthopedic devices cleared via the 510(k) process or by means of the PMA process during the ten-year period researched. Without these figures, it is impossible to compare the proportion of devices recalled between 510(k) clearance and PMA approval. In the above calculation of 22% due to pre-market design errors, I have ignored the 39 ‘breakages after implantation’, because no causes have been provided for these failures, so just adding these to the ‘design error’ column could significantly distort the true number where ‘design’ is responsible for the failure, because the failure could be due to design, incorrect fitting, incorrect use, or other problems. This 22% figure agrees broadly with the manufacturers’ own reasons for recall given in Figure 1 of the article (18.7%). I’m not saying that device manufacturers don’t need to do better during both the pre-market and especially the post-market phases to eliminate errors, but the ‘false equivalency’ in this article does nothing to advance the cause for improvement. In conclusion, to ‘headline’ this study as “More than 98% of the 161 foot and ankle devices that were recalled from 2007 through 2017 were approved through the FDA’s 510(k) process” is disingenuous at best and deliberately misleading at worst. A more meaningful headline, such as “22% of recalls due to design problems”, could still have been addressed as a serious issue requiring attention, but even then, to blame this statistic on the 510(k) process is unsupported by the authors’ own evidence.